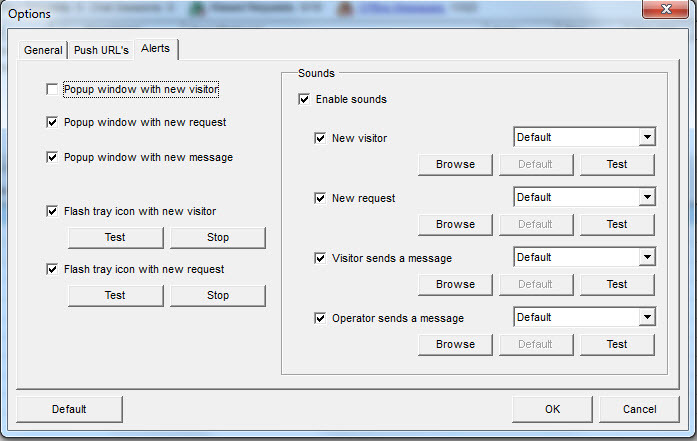 Customize the standard, default sounds OCC web and desktop agents will make when someone visits your website or requests a chat. You can use the default OCC Agent sounds or use your own sounds. The sounds can also be disabled for specific actions. Compatible sound files are: WAV, MP3 and WMA. Customizable sound notifications are available with ALL OCC VERSIONS.